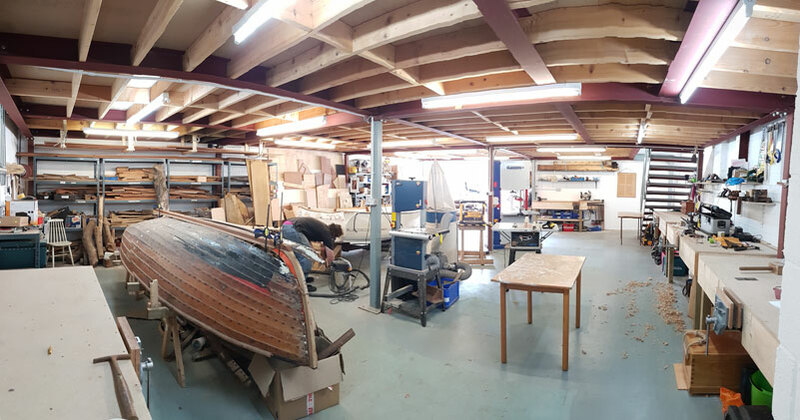 Devon Wooden Boats Ltd. founded in 2010 by Pete Newbery-Thornton working out of his sister in-laws quadruple garage in Kingsteignton for the first 5 years, we then moved to workshop units on the river Dart in 2015 and grew to the current team of 5 people. We are now based at Units 1 & 2 Lapthorne Industrial Estate on the Totnes Road between Newton Abbot and Totnes near the Texaco garage. We realised the majority of projects come to us by road rather than water and the rest remain floating in the various local marinas, so although it seems counter-intuitive working from an inland industrial estate we are only 5 miles from Baltic Wharf at the top of the river Dart, and 20-30 mins drive from all local marinas. 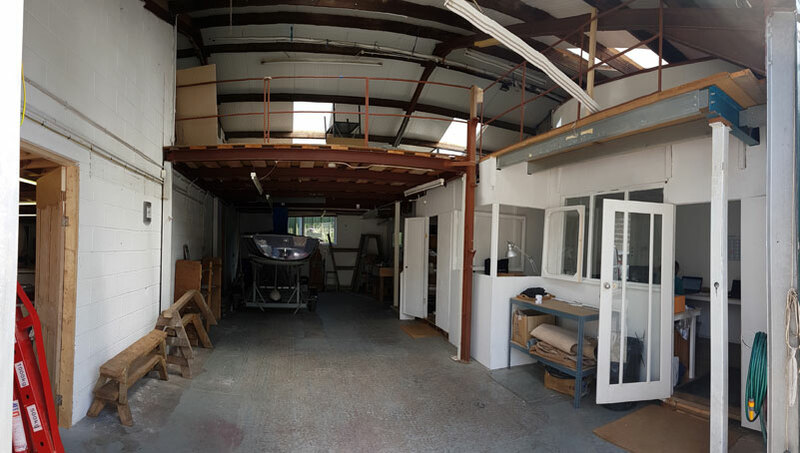 We now have 3700 SQFT of workshops for the same running costs of less than half that space shore side, along with the benefit of temperature and humidity stable workshops . We are always on the lookout for highly skilled and experienced individuals with a good number of years working in the marine industry to join our team. The founder Peter Newbery-Thornton grew up around boat yards. From a very young age Peter remembers working in confined spaces inaccessible to adults on Folkboats and Metre boats, including his parents’ Uffa Fox 22 Square Metre (Waterwitch II) and later an International 6 Metre (Catherine) and the complete rebuild of a SCOD (Troika). He continued to work on boats and made pocket money from buying wrecked dinghies and then with some help restoring them and selling on repeatedly - in hindsight what a great way of keeping a young lad busy. 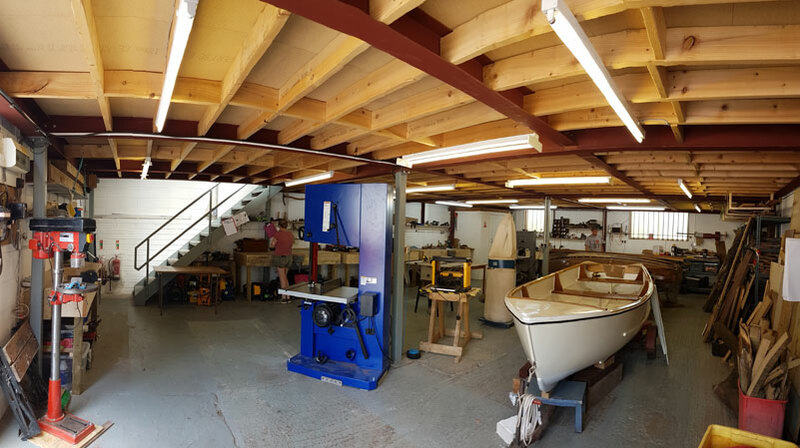 Peter started his apprenticeship in 1987 at Porter Brothers in Emsworth and completed it at Shamrock Quay, Southampton working with Bob Hatcher and Barry Honey restoring and maintaining classic yachts. Peter then moved out to Lefkas, Greece to work for Contact Yacht Services for two years maintaining large private sail and motor yachts. He returned to the UK to help finish the construction and fit-out of a luxury Dutch style barge for his family business. In 1995 Peter retrained as an AutoCad design engineer, later moving into the internet marketing industry where he remained until 2009, running his own companies and working up to senior level in several Dot Com businesses until the call to return to the workshop became too strong to resist. 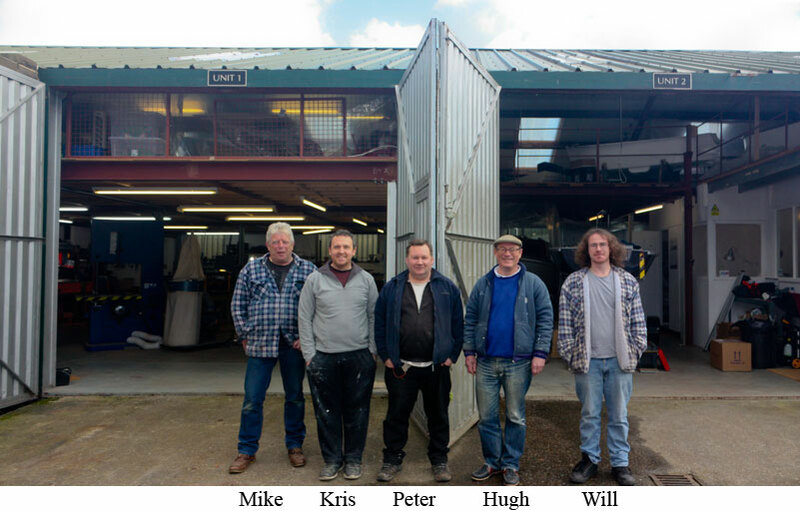 Peter has built the company from starting on his own in his sister in-laws garage to a 3700 sqft industrial unit, with a small team of very experienced people. Mike has been working in the marine industry for 45 years all over the world. 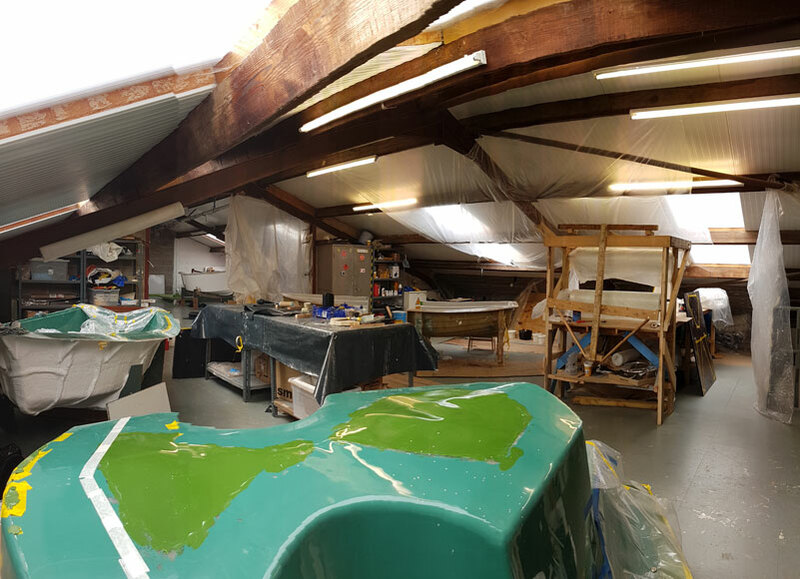 From building dinghies and yachts in Cowes to running his own yard. Then building cold moulded 58 footers in Norway. He ran the complete restoration of ‘Nordwind’ a 1938 92ft Bermudan Yawl in Mallorca, he also ran the complete restoration of ‘Veronique’ a 1907 75ft Gaff Yawl also in Mallorca where Mike was based for 20 years. Now back in Devon and not wanting to travel anymore he brings a wealth of experience to the company, Mike even trained at the same boat building college in Woolston, Southampton as Peter only 13 years earlier. Kris has over 15 years’ experience designing, installing and maintaining various electrical and electronic systems including Bluetooth, VHF/UHF radio-based systems from basic mains spur installation through to electronic repairs at component level and writing custom software for bespoke interfaces. Including the design, install, test and maintenance of a computerised liquid feed system for cows for a drugs trial on behalf of Roche Pharmaceuticals across 5 farms. In 2011 he achieved an upper second BSc(Hons) in computing and is an accomplished programmer specialising in C# with a very solid understanding of RS232 and networks. Now qualified BMET (British Marine Electrical Technician) and NMEA MEI (Marine Electronic Installer) under the British Marine BMEEA scheme. Kris is keen cyclist and spends the rest of his time programming Full HD cycle simulation software or designing and building electronics. Kris also won the British Marine Electrical and Electronic Association award for newly qualified Marine Electrical Technician 2017 by getting 100% in the BMET exams and 98% in the NMEA exam. Will joined the company in summer 2015 as a part time General Assistant doing all the mucky jobs and has proved to be a lot more skilled than he let on. We initially took him on part time as he had caring responsibilities and we were able to offer him the flexibility he required. In January 2016 he was happily able to become a fulltime boatbuilding apprentice with day release. Now in his 3rd year with the company he continues to develop his skills and experience. He has also developed fine painting and varnishing skills, now doing the bulk of our finishing. Hugh formally joined the company in January 2015 to help with the Teignmouth/Shaldon Ferry refit spending his first 6 weeks knocking copper nails in and holding a heavy dolly against the bottom of the boat for refastening, quite a change from being an International Business Development Executive for a leading fluid seals company. Hugh has been involved with the business over the last few years helping with sales and marketing, he is also Peter's brother in-law. Since the company has matured Hugh’s role has changed, he now runs the office and is responsible for all the admin, accounts, marketing and stores. Prospective customers are welcome to visit us though please make an appointment as we sometimes work away from base.